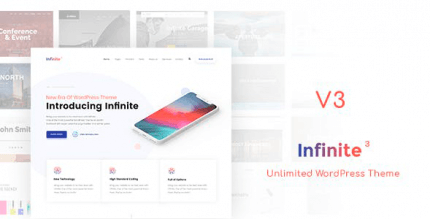 Themify ultra is the most powerful & flexible WordPress theme created by Themify, making it easy to create any site quickly and beautifully (and responsive, of course). Take full control of your theme design from header to footer. Loaded with many layout options and features, it is by far the most versatile theme by Themify. Drag & drop builder. 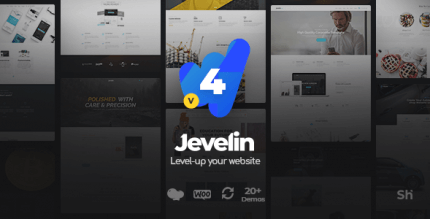 Build unlimited responsive layouts using Themify’s popular drag & drop Builder. Parallax Scrolling & Responsive. Design stunning parallax floating effects that works on all devices & resolution with the Builder. Pre-made Demos. With just a single click, you can import the demo setup that includes the theme settings, content, menus, widgets, etc., exactly like our theme demos. This is a time saver for creating client sites. Available next demos: Agency, eCommerce, Restaurant, Lawyer, Wedding, Spa, Fitness. Smart Layout Options. Ultra gives you full control from header to footer, either site-wide or on a per-page basis. This means that you can make your entire site share the same look and feel or create a unique look for every page. 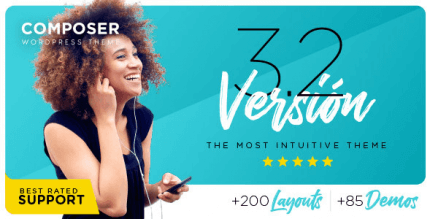 15 header/page styles. 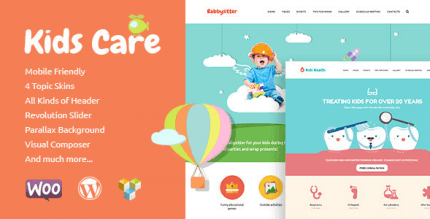 Select a header/page design from 15 styles (the no header option is perfect for making landing pages where you don’t want to have header navigation). And yes, there is a sticky header option. 6 header background options. Header background allows you to: upload a background image, pick a solid color, insert a slider, upload a video, set animating colors, or have it transparent if you want. 6 footer layouts. 6 footer layout choices with options to toggle visibility of footer logo, menu, widget, and credit text. 5 single post layouts. In term of single post layout, there is a default layout plus 4 unique layouts. 6 archive layouts. For the archive layouts, we have 6 different styles that you can choose from: slider, fullwidth, masonry, grids, polaroid, and overlay. You may also toggle the visibility of the post elements such as post title, featured image, meta, content, etc. Section scrolling. Inspired by our Fullpane theme, full section scrolling feature allows viewers to scroll through your page design one row at a time like a presentation slideshow. 60+ Pre-designed Layouts. The Builder includes a huge library of pre-made layouts designed by professional designers. Simply import a layout, replace the text and images, and you’re done! You can get an awesome parallax landing page done in minutes. Mega Menu. Mega menu allows you to display recent posts, multi-column menus, and even the ability to add widgets into the menu. Image Filters. Auto-apply Grayscale, Blur, and Sephia filters to your images without editing the original image source (no Photoshop needed). Portfolio. Looking to showcase your work and services? Ultra includes an optional portfolio that works seamlessly with all of the post layouts available for the blog posts. We even throw in a post filter as a bonus. WooCommerce Shop. Wanna sell something? Great, Ultra has WooCommerce integration which matches the shop with the overall theme appearance.